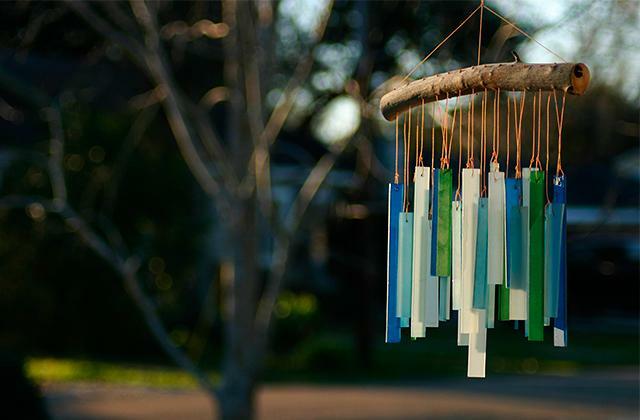 You will hear one of the 24 available melodies at every hour. Just choose your favorite one. 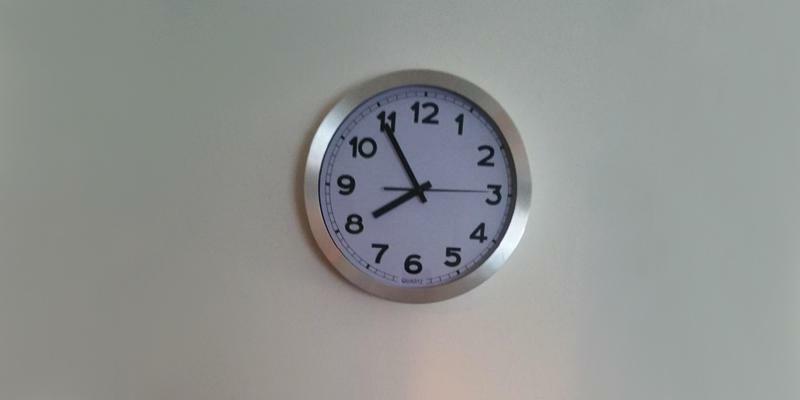 Some users claim that sometimes the moving parts don't align properly with the clock's face. This elegant and stylish wall clock will be in the spotlight, enhancing the look of the interior of any modern room. 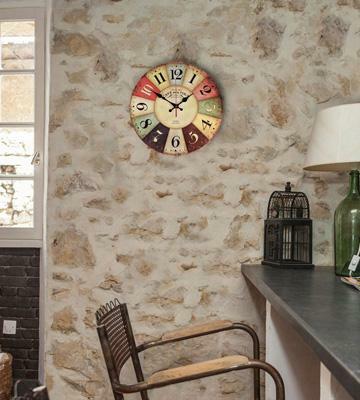 Available in 4 different colors, this clock will fit any interior design. Changing a time zone is a bit tricky. If you'd like to have a clock that would tell you not only the time but also the date and the ambient temperature, the Marathon atomic digital clock is the answer. Equipped with an integrated hygrometer, the La Crosse WT-3181PL will show you the information on both indoor and outdoor air conditions. Occassional signal drop might result in poor syncing with atomic clocks. 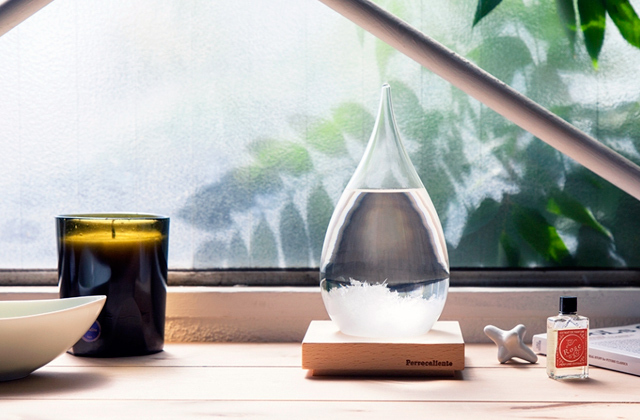 This wall clock can be hung on a wall indoors and outdoors thanks to its water- and weather-proof housing. 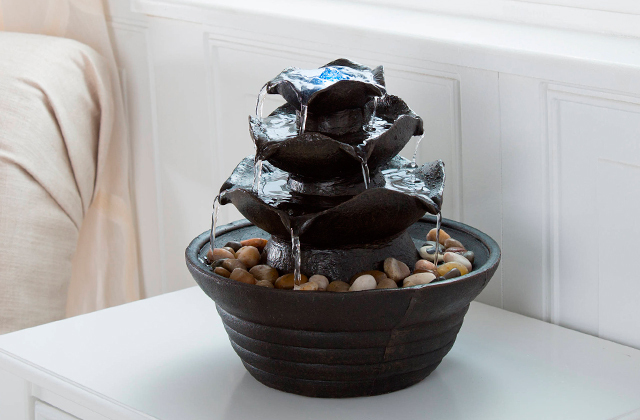 Can become a decorative element of your garden. The given wall clock is distinguished for its absolutely whisper-quiet operation. 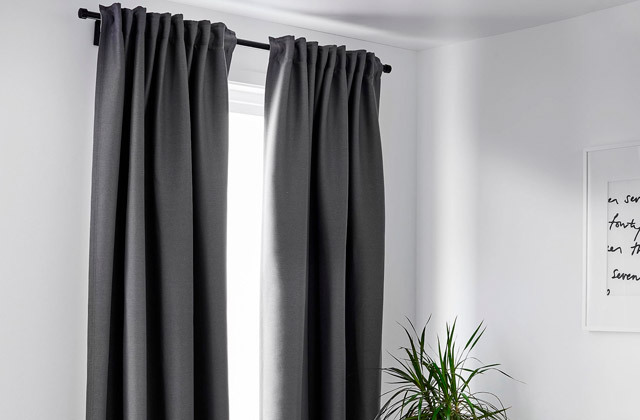 A good choice for hanging in a bedroom. The clock's face is not protected from external damages. Looking for a sophisticated wall clock to match your renovated interior? The NALAKUVARA can be the right choice. A splash of colors and vintage style will enliven any environment. 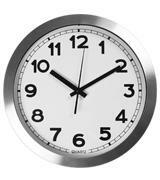 Large numbers on white face of the clock are well-readable in all lighting conditions and from any distance. The polished frame is a fingerprint magnet. 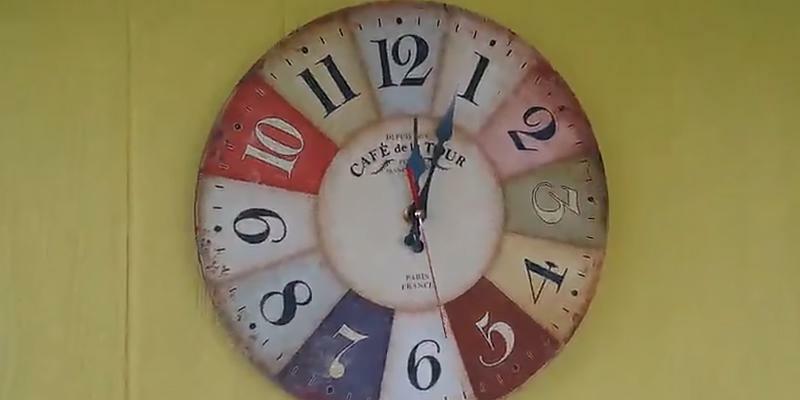 This wall clock model will suit consumers who need a regular clock that shows precise time and doesn't cost an arm and a leg. Seiko is the globally renowned company for clocks and watches manufacturing. 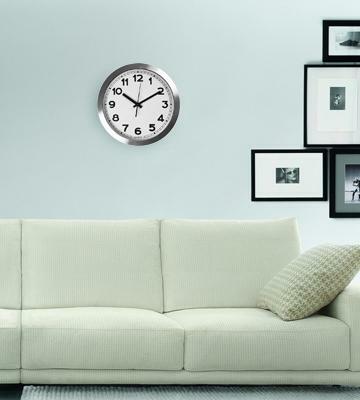 Its product line comprises a great range of models among which you can find both simple and sophisticated wall clocks. The model we've picked for this review is probably one of the coolest clocks we've ever seen that can merge into any room interior perfectly well. Embellished with 22 Swarovski crystals, the face of the clock looks absolutely stunning, especially when the dial starts to rotate on the clock, scattering sparkles on walls. Yet, this isn't the only peculiarity that we like this clock for. On top of absolutely fantastic design, the Seiko can play twenty four melodies (or just as many as you choose) at every hour. You will have a choice of 3 different musical styles; the clock can play 6 Beatles songs, pop music and Christmas melodies. The music volume is adjustable and disables automatically when you switch the light off in the room. This way, there's no chance you might wake up to the sound of the clock in the middle of the night. As they say, a picture is worth a thousand words, so it's better if you see for yourself how beautiful this clock is and make a decision. It goes without saying that digital clocks offer a wider functionality as to analog models, so if you need a clock with a bigger number of features, the Marathon CL030033SV can be the best option for you. 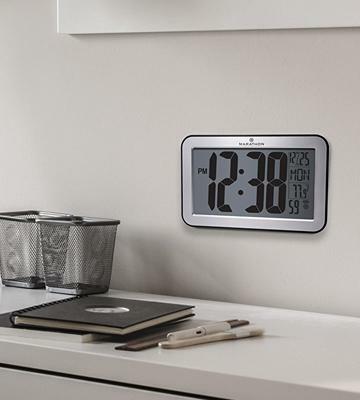 The clock is designed with an easy-to-read 4" display that shows not only the current time but also tells the date, weekday, and ambient temperature in a room. With the Marathon CL030033SV you will always have the most precise time since it automatically synchronizes with the NIST’s Colorado Atomic Clock. Similar to the clocks intergrated in mobile gadgets you can choose a time zone and the clock will automatically set the correct time. Mind you, if you buy the Marathon CL030033SV to use outside of North America, you will need to set the time and date manually. For consumers' convenience of use, the temperature and the date can be output in two formats - in 12 or 24-hour and in Fahrenheit or Celsius correspondingly. 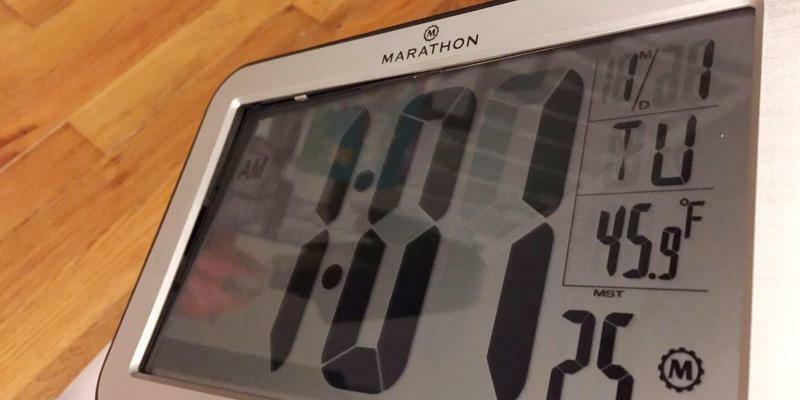 Should you hang it on a wall or place it on your table, using a fold-out stand, the Marathon digital clock will add a nice look to the interior anyway. 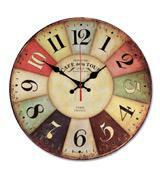 The clock is available in 3 different colors and you can choose the one that matches your room decor better. If you often spend time digging in your garden, it's likely that you don't wear a wristwatch. Still, having a clock before your eyes could be a good idea. 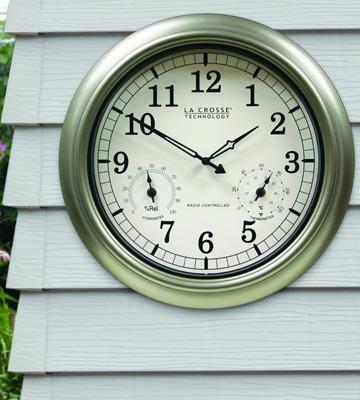 If you've been thinking about the same, we'd like to present you the La Crosse wall clock, an ideal clock to use outdoors. 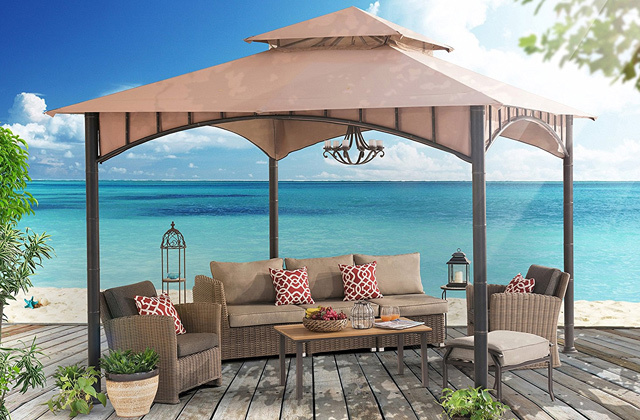 Designed to be weather-resistant, it can be fixed anywhere in your yard, garden, on a patio, etc. 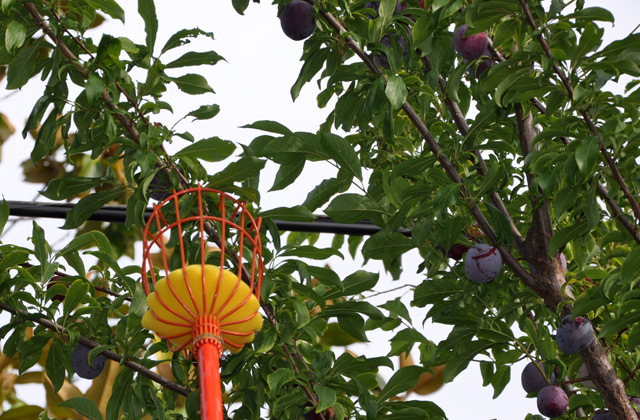 Besides showing the time, the La Crosse wall clock can also tell you of the humidity rate outdoors, so you could create a favorable environment for your harvest. Basically, with the La Crosse wall clock, you won't need to use a thermometer at all; it will tell you the weather precisely. A useful function of the clock is that it automatically adusts to daylight saving time. To show the correct time, the clock has been synced with the atomic watch in Colorado. Keep note, however, that the syncing option is available for 4 US time zones only within the radius of 2000 miles from Fort Collins. It is also worth saying a few words about the design of the clock. 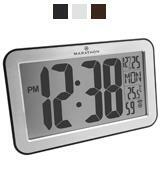 It's a sleek clock with a white face and large black numbers which can easily be seen from a big distance. 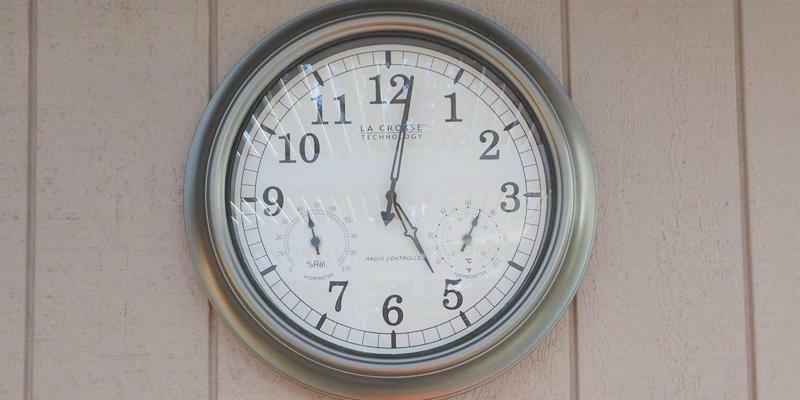 The La Crosse clock might look less sophisticated than some of the vintage models, yet it will surely blend with formal interiors and become a useful addition to your patio zone. 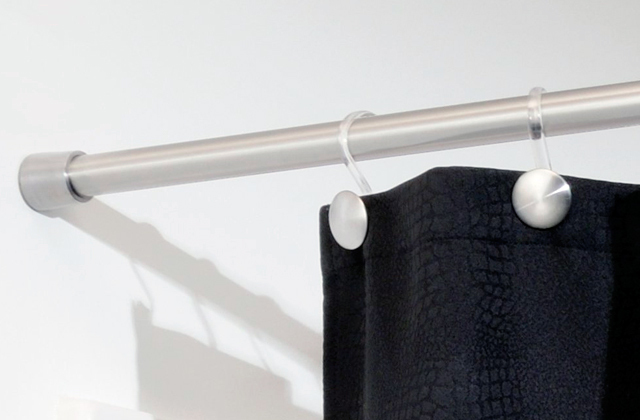 Looking for an unusual clock that would enliven your living space? Why not consider the NALAKUVARA model? 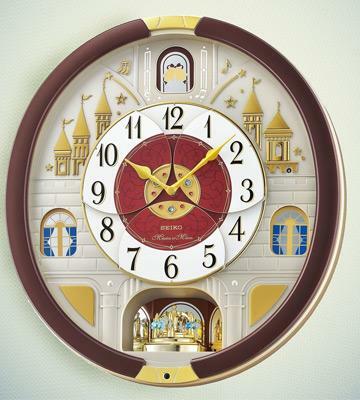 Designed to be a creative decor element, this wall clock will definitely make your room look more special. The face of the clock uses an incredibly vibrant color scheme, each of the twelve panels with a different color, and comes enclosed in a black frame that adds a bit of a retro style to it. Yet, you wouldn't say that the clock is retro. Comprising the concept of retro and modern design it comes as a unversal wall clock that can go into literally any interior - office, bedroom, kitchen, etc. The NALAKUVARA wall clock is a simple model without additional features that works whisper-quietly and doesn't produce irritating clicking. It is not a bad option for those consumers who look for a good clock at a good price. 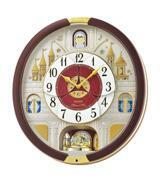 The distinguishing feature of the Utopia Home wall clock is its simple design. If your room design is rather formal, this is the kind of clock you need - sleek, modern and with a polished stainless steel finish. Black numbers and hands contrast against the white face of the clock and well readable from a distance. 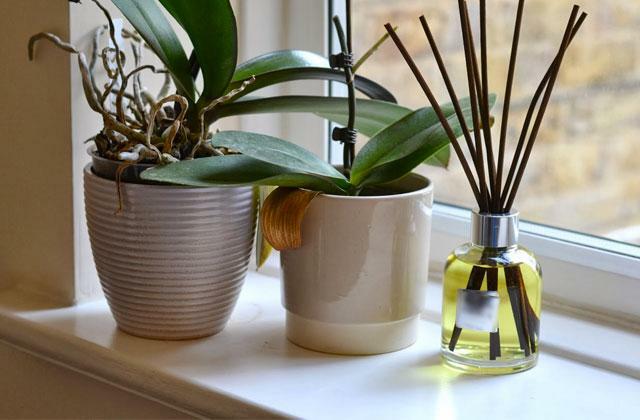 To our liking, the Utopia Home works and ticks absolutely noislessly and you're very much unlikely to hear the hands move at all. This clock is very nice and beautiful. 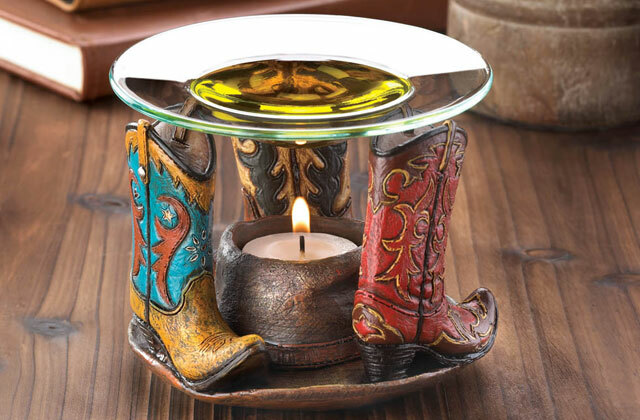 Polished, covered with glass, it makes a good fit to almost any interior. 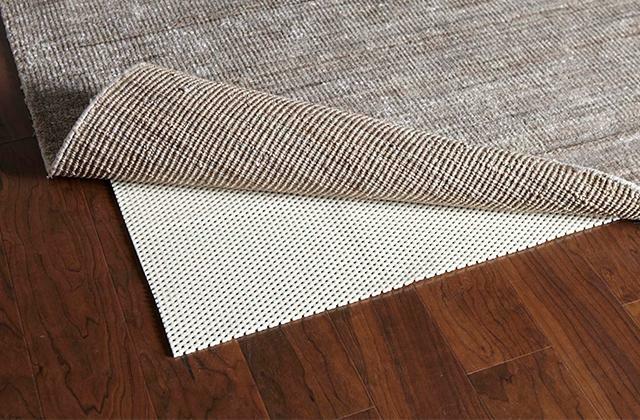 You won't face a problem of needing to replace the clock once you change the wallpapers in a room. The Utopia Home will look actual at all times and in all living environments. Make sure to purchase it now! 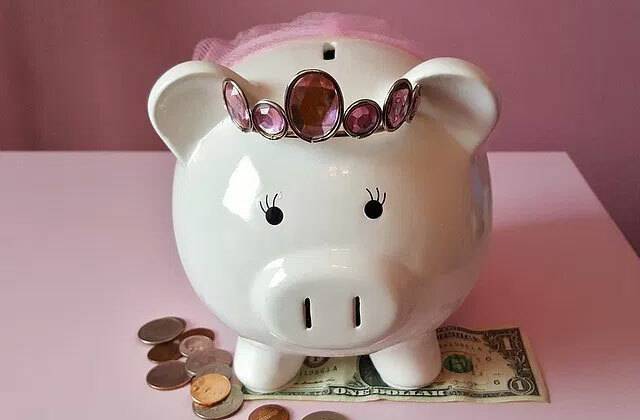 The price for it will please you. 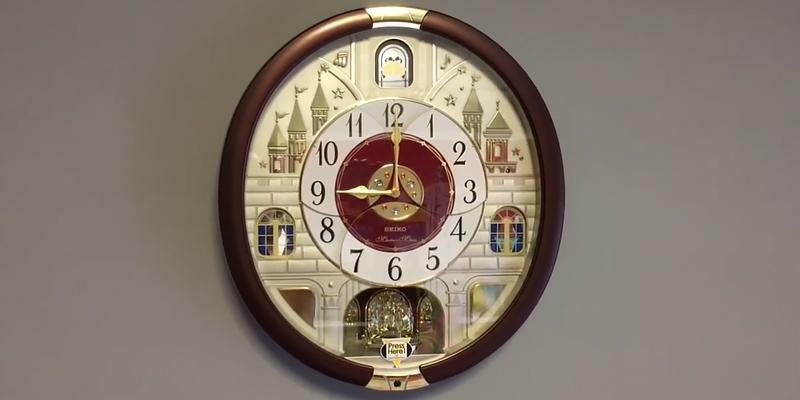 In the era of state-of-the-art technologies, a wall clock is considered to be a decorative element rather than a timepiece that tells the time only. So, if you need a clock as a decor accessory to increase the beauty of your interior, we're here to help. For this review we've picked wall clocks of different sizes, designs and colors so that you could choose the one that would match your living environment best. 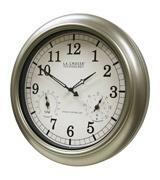 Alongside fancy vintage models you will also find simple clocks in sleek shapes that would fit more formal interiors like offices, studies, etc. 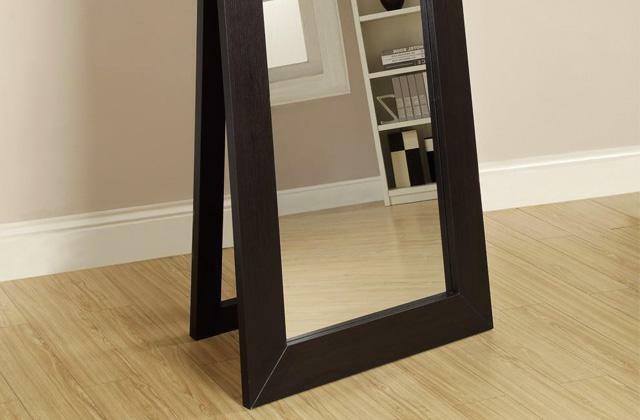 The room decor is hardly complete without a floor mirror. If you've got none yet, we'd recommend you to take a look at our review and choose the model from there. Another thing you may want to add to your living space is a lava lamp, with which your room will gain a completely new look.